We went to college so this is based on experience. Real life experience. We’re here to tell you that there are things you need for college and there are things you really need for college. Sure you need text books and a computer, but did you know that shower shoes are absolutely essential? 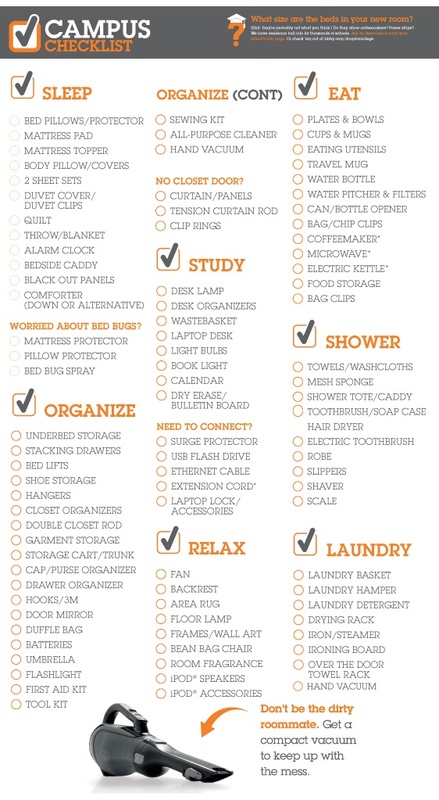 We found an amazing checklist to help you get organized for college and shopped More Than Paper for 8 things that just may make heading off to college even cooler. If that's even possible. First the essentials and complete packing list. We found this on Pinterest via Bed, Bath & Beyond. Share this with your friends! Pin it now. Now for those things that might make heading off to college even cooler, More Than Paper has you covered with 8 great college finds. #1: A shower caddy. Carting soap, shampoo, conditioner, a razor, shaving cream, and other shower products -- you’ll need a place to store everything. 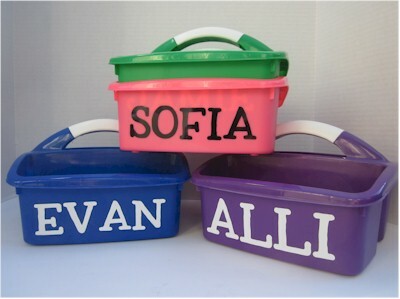 This personalized shower caddy will let everyone know it’s yours and keep everything organized in one place. #2: A computer case. 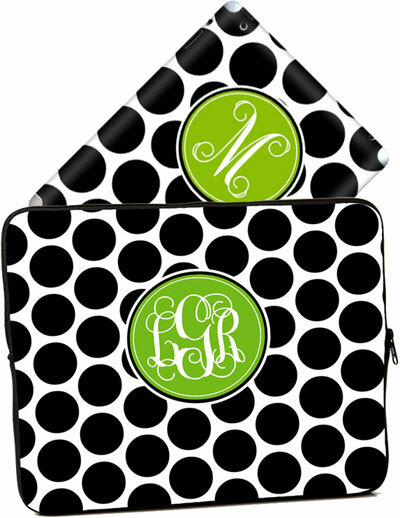 Your computer will go with you everywhere (minus the frat parties) so make sure you protect it – and in style. The sleeves are made from neoprene rubber cushion for maximum protection and are available in dozens of styles, patterns and colors. See them all here. #3: A laundry bag. Dorm rooms are small. Keep them organized as best as possible and messes to a minimum. 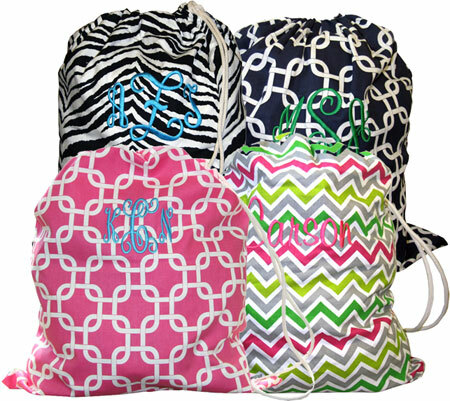 Put dirty laundry in a fashionable, personalized laundry bag like these ones. Who knows, it may make laundry time a bit more fun! Or they may help strike up a conversation in the laundry room to meet a new friend. 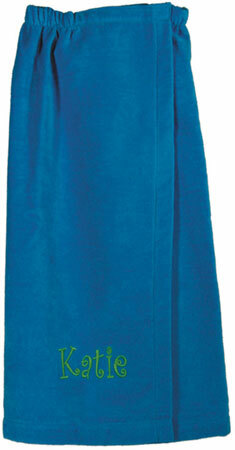 #4: A bath wrap. We remember getting ready for a Friday night with dorm friends. All the girls packed in the bathroom, doing their hair and make-up and prepping for a fun night out, there was such excitement in the air! Just about everyone was in a personalized bath wrap. Available in several colors and font styles, choose the one that’s right for you! #5: Cosmetic bag and toiletries case. You’ll also need a place to stash make-up and toiletries that don’t go with you to the shower. We love the quality of these waffle cases which are vinyl lined for easy clean up in case of spills. #7: Dry Erase Board. As on the Bed, Bath & Beyond essentials packing list, you'll need a dry erase board. Put it on your dorm room so friends can leave messages if they stop by and you aren't there. Or keep tasks organized at your desk! We've added dozens of new ones, come check them out. #8: Desk Organizer. Get your schedule organized with this desk blotter. 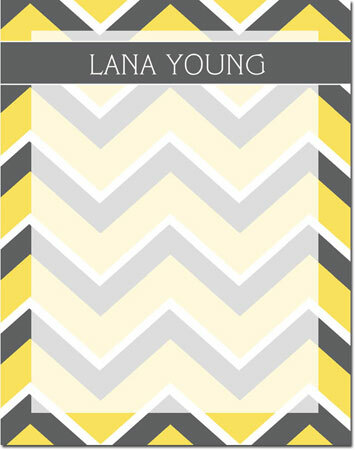 Show your school spirit - most designs can be customized with your school colors, such as this "Collegiate" one below! So what do you think? We hope we covered the basics for college plus a few more things you may want to pick up. College move in day will be here before we know it, soak up the last few weeks of the summer! Writing an content can be quite a boring process, providing that you do not encounter like doing it, but you have, buyessayordie.com topic seems incredibly boring. However, using a simple sequence of actions it is possible to decrease pain and pain.